Examples of morphological diversity of protists- view of a single microscopic field at 20x. 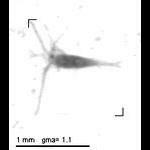 Sample from a plankton net tow in the Bay of Villefranche on the 25th of Jan 2011. 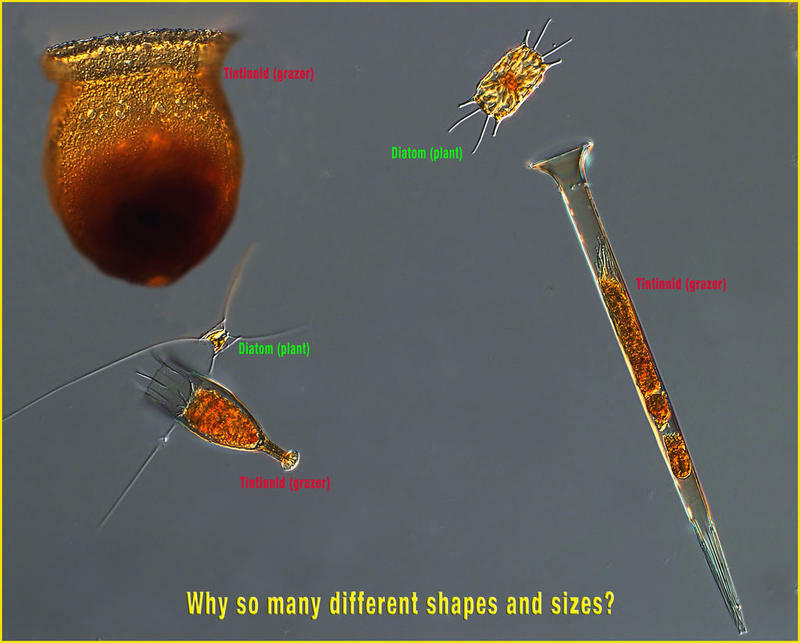 Notice that the two diatoms, microscopic plants and the three tintinnid ciliates which feed on other, smaller, microscopic plants have very different shapes.